Nowadays security is a primary concern for almost every people. CCTV or Closed Circuit Unit Television System is the most trusted device that provides you with better security. Dahua CCTV camera is a popular security device that helps us to create a secure environment with its proactive security systems. The company excels in manufacturing innovative surveillance solutions that enable the user to monitor their situation, especially in a low-light outdoor environment. It claims to be as a global player in the field of security. It is always preferred by people due to its innovative security solutions. Purchasing a CCTV is not the ultimate step. You need to install it first and then ensure that whether the device is performing the way it should. Any tech-glitch in your CCTV might affect your entire security system. Hence, it is essential to repair your CCTV as early as possible to maintain its performance. Contact our experts to resolve your security issues instantly. We are among the best repair service to choose when it comes to CCTV repair. Our Dahua CCTV installation services will help you resolve all your issues patiently. UAE Technician provide you with guaranteed service required for installation and maintenance of your Dahua CCTV. Our experts attend to all of your queries within 24 hours of the day. Our team is committed to provide you services as soon as possible so that you feel secure again. We assist in monitoring your CCTV on mobile application or browser. Our alarm monitoring system will help to detect the unacceptable intrusion that takes place. On-site security maintains a state of peace and gives us the best protection. Our expert is trained for CCTV monitoring and repairing even when you are not present at the premises. We assist in getting obsolete and upgrading your CCTV with the advanced technology. We also provide you with threat and risk management. 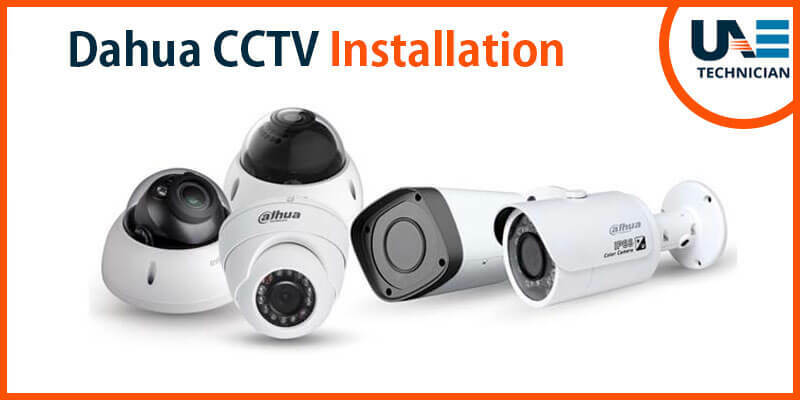 Dahua CCTV repair services provide you with the desired CCTV maintenance you deserve. Our techies have experience in dealing with and settling CCTV errors. UAE Technician contains a group of professionals who are well trained in dealing with and solving any security issues. We try to provide our customers with flawless repair experience. Our executives are available throughout the day to help you out at the time of your need. Additionally, you can also contact us via text message, email or live chat. Dial our helpline number: 0557503724 and avail the most effective repair services. We also provide Dahua CCTV IP camera installation service in Dubai.